Pupils in Form 1 (Year 5) and above are allocated to four Houses for competitions: Grimwade; Monk-Jones; Newbury and Westfield. Day pupils are allocated across all four Houses; full and weekly boarders are based in Grimwade House. The winning House enjoys a celebratory House supper at the end of term. There is a Housemaster and Housemistress for each House and this provides an additional level of pastoral care. The friendly, well-ordered, family atmosphere of Grimwade House, the Prep School Boarding House, means that it does not take long for new boarders to settle in and feel that they belong. With a good mix of full, weekly and part time boarders, all new pupils are paired up with fellow pupils who help to look after them when they first come into the House. Grimwade House has been extensively modernised and extended over the years. As is the case with most of our buildings, its name is connected with a member of the Bishop’s Stortford College community who gave great service to the College, in this instance, Mr Edward Grimwade, Chairman of the Board of Directors of the school in 1868. Grimwade House celebrated its Centenary Year in 2012. 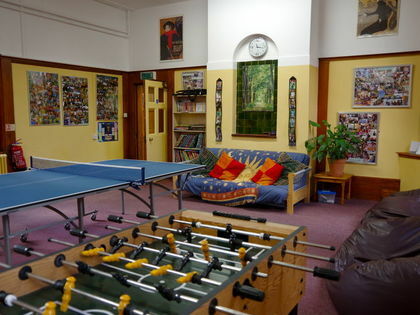 Grimwade has five leisure rooms downstairs in which the pupils can relax (including computer, television, snooker, table tennis and music); additionally, the outdoor and indoor sporting facilities are regularly put to good use. The fantastic swimming pool and sports facilities are used regularly and boarders make good use of the beautiful outdoor space when the weather permits. 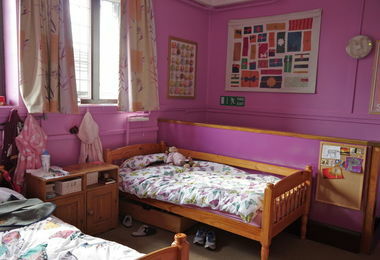 It has comfortable dormitory accommodation for around 50 pupils. 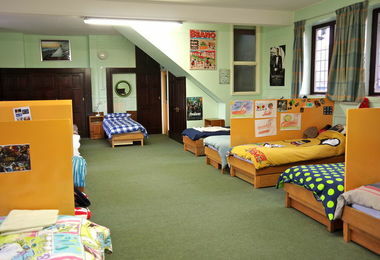 The two largest dormitories (10 and 15 pupils) are partitioned into areas for two or three pupils, each area feeling like a room in its own right. The weekday evening routines include supervised prep and activities, such as sports, swimming, craft and film nights. In addition, boarders enjoy playing indoor board games and using the interactive games on the Wii and Xbox. They can also use the computers in the House or just choose a good book to read.